I hate dating. It can be the most awkward and stressful experience in the realm of social activities. Meeting someone for the first time after texting? You have so many thoughts running through your head that you psych yourself out before you even meet the person! Then you’re mentally stuck because you are too busy thinking, “Is this person even interested?”, or “will they give me the time of day?”, or my personal favorite “do I still have spaghetti sauce on my face?” Fortunately, meeting online helps take away some of the anxiety that one would face as opposed to meeting people in person. But what about when you meet offline? What happens when you no longer have your computer to protect you? I have found that sometimes when you keep everything online and solely communicate through text only, it can still create a form of ‘reality awkwardness’. These are the reasons why texting is bad for a relationship. Reality awkwardness is when you finally meet your online honey in person and after being online for an extended amount of time, things still feel, well, awkward. Not because we are geeks, but because we never interacted with this person’s emotions. What I mean by this is because everything was done by text, you never truly observed this person’s actions when you communicated with them by text. 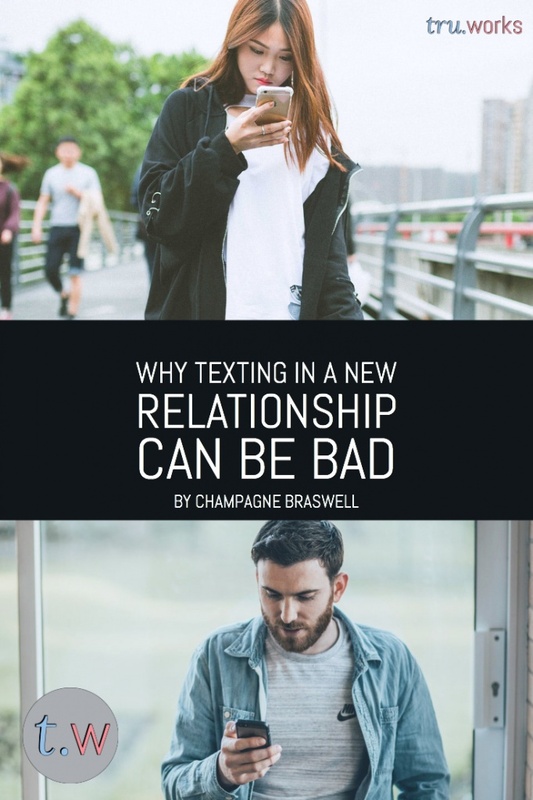 When solely communicating through texts there are several issues that could lead to the downfall of your online romance before it even begins. Texting is very impersonal. Although we have emoji’s, pics, memes, and whatever else that is out there, these things do not truly personalize the conversation. When we don’t know a person, we tend to read their texts in the view of either how we would speak or how we imagined this person would speak. The problem with that is that they can be totally different than who they truly are. The longer you spend imagining how this person sounds or acts, the more of a rude awakening you may face when you realize you were completely off the mark. When people already know you, they understand your humor. They understand if you say “everyone must die”, they will think “oh this is Mike just being Mike”. They won’t call the police or forever brand you as “mentally unstable” because they already know you! People who just met you, may not get that off hand. You can easily rub someone the wrong way or turn them off based on a joke you said that would have landed better in person. Do not get me wrong, I LOVE sarcasm. It’s how I live my life. However, not everyone likes it nor is everyone’s sarcasm conveyed the same. Relying heavily on sarcasm in your texts can turn a potential romance into another internet dude. As I stated earlier, you do not truly know how this person acts when they are interacting with you by text. You are guessing and assuming based on your own personal feelings. So when you tell them a joke and they send ‘LOL’ you automatically believe that you were funny. You may even find yourself thinking “I’m totally in there”. Now you are sending them jokes left to right believing you are killing it! However, this person may not have truly thought your joke was funny. They could have thought it was the lamest joke in the history of jokes. Because they aren’t a complete jerk, they do not want to hurt your feelings, so they send an “LOL”. I know you are like why would they send an “LOL” response if I’m not funny. Well, there isn’t an emoji that conveys the thought of your-joke-wasn’t-that-funny-but-I-know-you-tried-really-hard-so-I’m-just-going-to-humor-you-with-a-slight-chuckle-or-smile. But If you were in person, you would have picked up on this. Person 2: Well obviously since we both love pizza, we mind as well get married LOL! 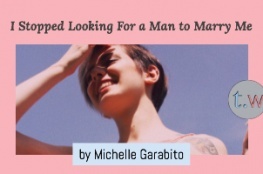 Does Person 1 really want to get married? Maybe, Maybe not. But because you aren’t in person or looking at them, you can’t really tell now can you? Texting is a great way to start a friendship with hopes of starting something more to follow. Just do not rely solely on texting before you meet. Give them a call on the phone. A little old fashioned but it works. Or try Skype or face timing if you are about being progressive. Reality awkwardness can be significantly diminished by interacting with them prior to your first in-person date. Don’t miss out on something great because you didn’t take the time to get to know them outside of texts. This is why texting in a relationship is bad. Miss Champagne B is a dating and self improvement blogger who focuses on positivity and growth. Born and raised in Columbus, Ohio she earned her MBA from Tiffin University in Business Management with a focus on Human Resources. She is the author of “20 Ways to Kickstart Your Path to Improvement” currently available on Amazon.com. She enjoys meeting new people and volunteering with young women and currently lives in Columbus, Ohio with her Pitbull, Kiba. You can check out more of her blog at singlegalguide.com.